I've been loving the Lord of the Rings series by Asmus Toys. 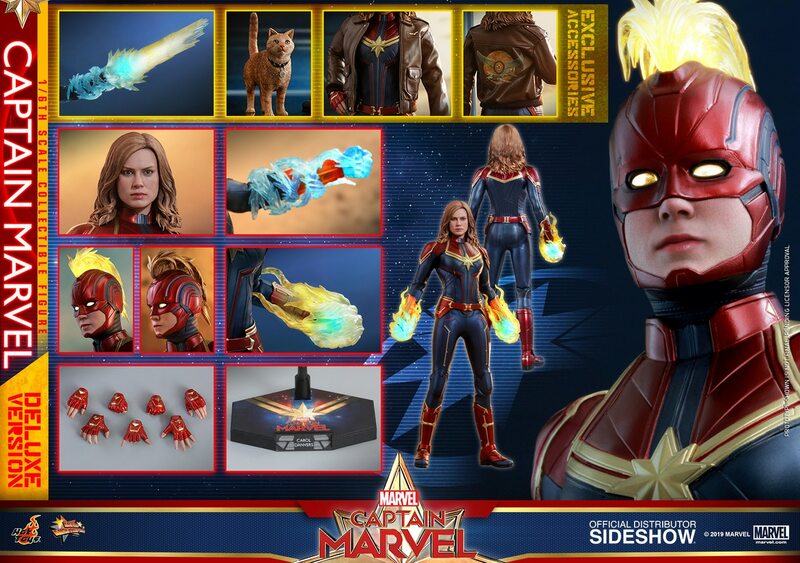 The head sculpts aren't quite up to the standards of Hot Toys, but the tailoring of the clothes and the quality of the accessories is second to none! Add to that the fact they're pretty much the only 1/6th scale company to actually follow through and promise to complete the Fellowship of the Ring! With Boromir released now, only Gimli is left, and the teaser of that looks amazing. 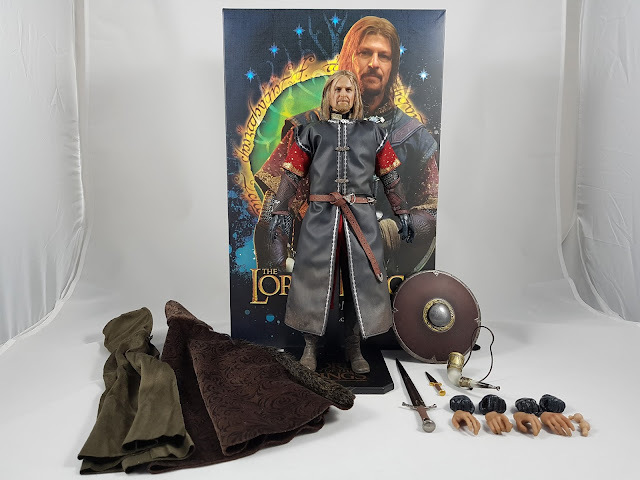 This Boromir was released with two options, being a rooted hair version or a sculpted hair version. I think rooted hair adds just that bit of realism, so I went with that option. Overall, I'm pretty happy with it! The packaging is consistent with previous releases in this series. It should be noted though that there was no cardboard insert with artwork this time, and no numbered edition as well. 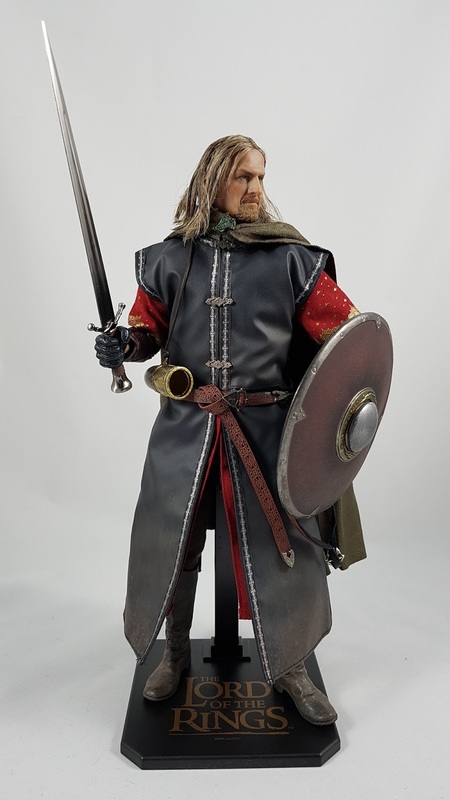 Their previous figures had these, so it's surprising they didn't do the same for Boromir. Either way, it's another fantastic set by Asmus. Again the head sculpt isn't perfect, but the ability to futz the rooted hair gives plenty of opportunity to get the likeness better with good placement of the hair. The accessories again are outstanding! The real metal sword and dagger have great detail to them, and really show that the likes of Hot Toys and Sideshow et al should not get lazy and just use plastic! The shield also has a nice wooden paint app with good weathering on the metal. The two cloaks are beautifully tailored and made of high quality materials. I'd go with the elven cloak because it's thinner and sits nicer on the shoulders. The horn of Gondor is beautifully painted too, although it's let down by a strap that is far too short. It would've been so much nicer if Asmus had just given it an extra bit of length to hang on the body more naturally. The outfit itself is outstanding. Lots of layers, and the attention to detail is definitely on show. With the assortment of hands to cater for the weapons, there's plenty of posing options. Overall articulation is decent, and once he's all setup, he looks pretty damn good! I haven't set him up with the others just yet. I need to get some extra room in the cabinet, but once the Fellowship are together, Asmus would have created an incredible display in 1/6th scale. I cannot wait to complete the core cast with Gimli, and I think Asmus has done the Lord of the Rings justice with this series of figures. Big haul to start 2018! !